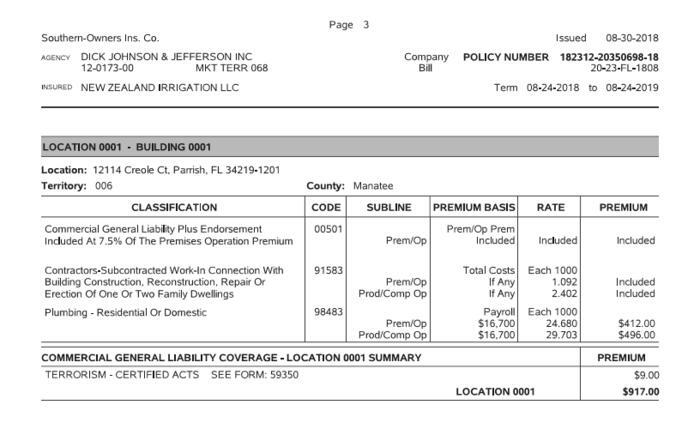 Irrigation sprinkler system repair and maintenance contractor, Parrish, Manatee County, Florida. Repair and maintenance contractor for irrigation sprinkler systems. Plumbing insurance is required for irrigation - Code# 98483. 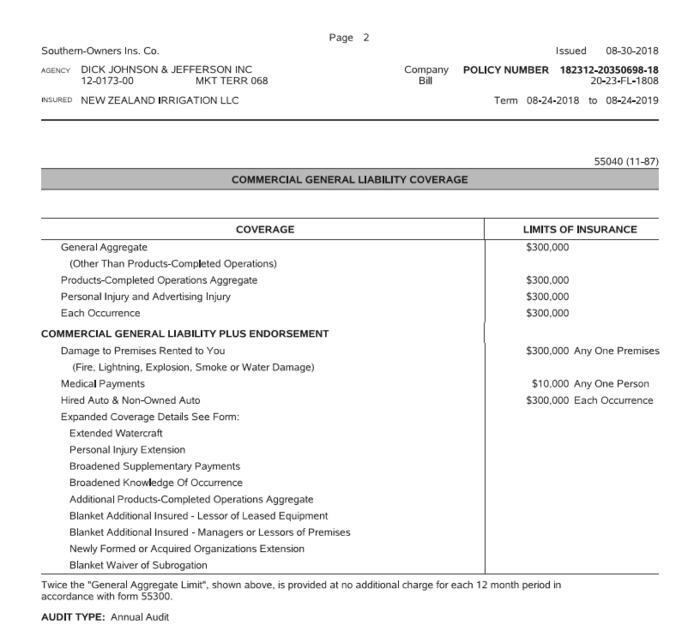 No other insurance will pay a claim.